Once a patient's medical history, family history and risk factors are reviewed, additional testing or imaging studies may be recommended to more accurately diagnose heart or vascular problems. In addition to traditional heart and vascular studies, Cardiology Associates is an experienced leader in advanced cardiovascular imaging. In 2005 Cardiology Associates was the first private practice in the country to offer cardiac and peripheral computed tomography, CT, to our patients and in 2010 we added the additional capabilities of cardiac PET CT. Cardiology Associates' CT and PET technicians are licensed and highly trained, and our facilities are accredited by the American College of Radiology for Computed Tomography, the Intersocietal Accreditation Commission for Nuclear Cardiology and PET. Cardiology Associates is also an American College of Radiology designated Lung Cancer screening center. Diagnostic tests, which are typically performed in the office setting, help our physicians identify or diagnose cardiovascular conditions. The results provide our physicians with information to help determine the best course of treatment. These studies use ultrasound or high frequency sound waves to assess blood flow in major arteries and veins to areas of the body such as the arms, legs and neck and detect any abnormalities. A continuous recording or monitoring, via electrocardiogram, of a patient’s heart rhythm, usually over a 24-hour period, to help detect arrhythmias or irregular heart rhythms that may not be detected during a resting electrocardiogram. This test helps evaluate lung function involving several different tests while breathing at different rates. The PFT can be combined with the CPX to evaluate the entire cardiopulmonary system. This exercise test is used to assist in determining the cause of any fatigue or shortness of breath. Using an electrocardiogram (EKG) while you are riding a stationary bicycle, a CPX measures the full cardiopulmonary system (heart, lungs and muscles) indicating how well they work together by measuring the amount of oxygen your body is using, the amount of carbon dioxide it is producing along with your breathing pattern. This quick 5-minute test is used to record heart rhythms and also capture a graphic measure of the electrical activity in the heart to help detect or diagnose irregular heart rhythms or arrhythmias. Also known as an exercise test or treadmill test, this test monitors your heart rate and blood pressure during periods of cardiac stress. This test can be performed via treadmill or simulated with chemical inducement. A stress echocardiography can also be performed in conjunction to evaluate the heart muscle at rest and immediately after exercise. Performed in conjunction with a stress test which monitors your heart rate and blood pressure during periods of cardiac stress, a stress echocardiography also evaluates the heart muscle at rest and immediately after exercise. Cardiology Associates provides patients on the gulf coast with advanced imaging for the heart and vascular system. Our training, knowledge and experience is unmatched in this area. Our technology, equipment and technicians provide our physicians with the tools to integrate high tech imagining with clinical care to provide more efficient and effective patient care. 3D imaging technique performed on our 64-slice volume CT scanner which provides a detailed image of the vessels in and outside of the heart to reveal any signs of cardiovascular disease in the heart or the peripheral vascular system. A non-invasive diagnostic tool that creates a personalized digital 3-D model of the coronary (heart) arteries used to assess the impact that blockages may have on coronary blood flow. Is is an efficient tool to assist our physicians in determining the next step in a treatment plan. A scan of the heart is performed on a dedicated cardiac PET scanner to produce detailed images of the heart to diagnose coronary artery disease or heart damage. With Cardiac PET, our physicians are able to view a superior image of both the anatomical structures within the body and the activity occurring in those structures, to more accurately diagnose a problem and pinpoint the best approach to treatment. Cardiac PET is the fastest and most accurate way to detect many types of heart disease and heart abnormalities that could potentially lead to a heart attack. Cardiac PET also assists our physicians in predicting the likely outcome of various therapeutic alternatives, and after treatment methods are started it can help monitor how well a patient is progressing. These procedures performed in the catheterization (cath) lab are effective in diagnosing and treating heart and vascular disease as well as provide accurate mapping for patients receiving more advanced procedures, such as a transcatheter aortic valve repair (TAVR). Also know as a coronary angiography, this procedure is performed under mild sedation via a thin, flexible tube called a catheter, which is inserted into a blood vessel in the groin or arm (radial). Through the catheter the physician is able to image blood vessels of the heart, measure pressure inside the heart, diagnose cardiac complications and evaluate the coronary arteries to choose the best course of treatment. Similar to a cardiac cath, this procedure is performed in the peripheral vessels (extremities) to evaluate the arteries outside of the heart for blockages known as Peripheral Vascular Disease (PVD) and, if needed, choose the best course for treatment. Performed in the cath lab under mild sedation, a transducer probe is placed in the esophagus to get close to the heart and capture clearer pictures of the heart and its structures. A TEE assists the physicians in identifying problems such as heart infection, disease or problems with the heart’s wall or valves.Also know as a coronary angiography, this procedure is performed under mild sedation via a thin, flexible tube called a catheter, which is inserted into a blood vessel in the groin or arm (radial). Through the catheter the physician is able to image blood vessels of the heart, measure pressure inside the heart, diagnose cardiac complications and evaluate the coronary arteries to choose the best course of treatment. Screening tests help to identify the early presence or an absence of disease or cancer. We offer the following screening tests used for the detection and severity of heart disease and early detection of lung cancer. 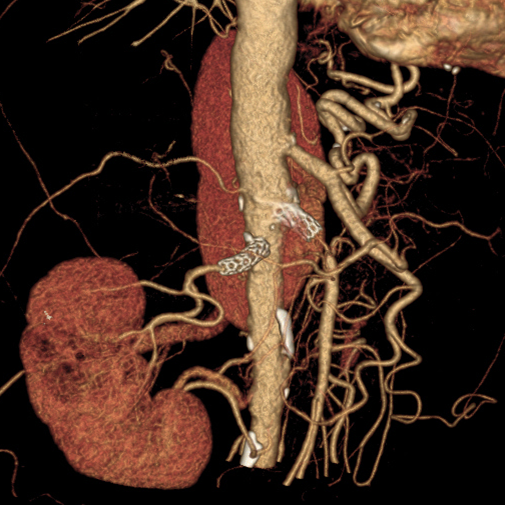 These are performed on our 64 slice volume CT scanner. A preliminary screening test performed on our 64-slice volume CT scanner. A cardiac calcium score is a strong predictor in determining if you may be on a path to or have the beginning stages of heart disease. 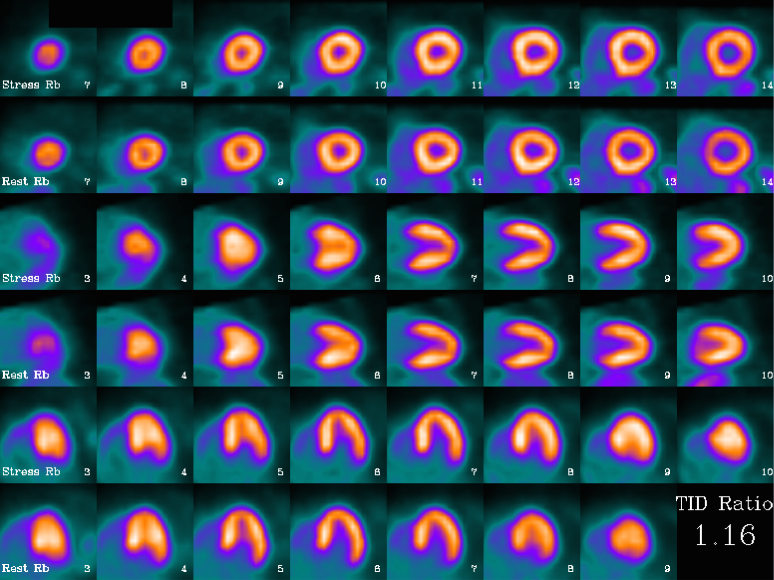 Cardiac calcium scoring identifies and measures the amount of calcified plaque in the coronary arteries and rates it based on the Agatston Scale. As this is a medical test that is considered a screening it is not typically covered by health insurance. This test is offered for $125, and payment is due at the time of service. However, we can provide you with documentation to submit your payment to your insurance company, a cafeteria plan, medical savings account or a medical flexible spending account for review for reimbursement. Early detection of malignant tumors can increase survival rates of patients who may be diagnosed with lung cancer. A low dose CT lung screening can identify cancer cells at a time when they are still localized to the lungs and these CT images can detect smaller nodules or cancer than a standard chest x ray. Low dose CT lung screening is a non-invasive, painless procedure that uses low-dose x rays to screen the lung for cancer in just seconds. This test is performed on our 64-slice volume CT scanner using 90% less radiation than a conventional chest CT scan. If you are between the ages of 55 to 77 and have smoked over 30 "pack years"* you may qualify for the low dose CT lung screening. Should you not meet the screening requirements, we offer this screening for $250. Cardiology Associates is a accredited by the American College of Radiology as a Designated Lung Cancer Screening Center. * A pack is equal to 20 cigarettes. If you have smoked either a pack a day for the last 30 years, or two packs a day for the last 15 years, you have 30 pack years. Cardiology Associates is pleased to be recognized as a 2018 Guardian of Excellence in Patient Experience award recipient. This nationally-recognized symbol of achievement is given to top-performing health care organizations that have consistently sustained performance in the top 5% in Patient Experience, among Press Ganey clients from across the US in each reporting period for the course of one year. Cardiology Associates has received this award for three consecutive years in 2016, 2017 and 2018. Thank you for signing up for Cardiology Associates upcoming news and events. We will be in touch soon.